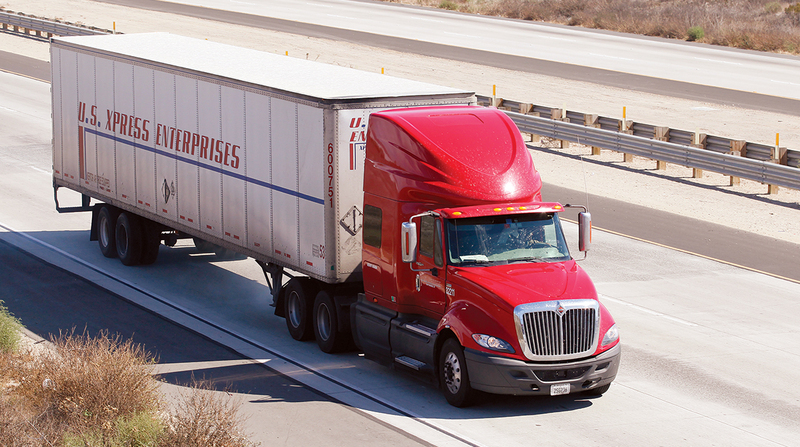 U.S. Xpress Enterprises has decided to cut back on its cross-border trucking operations, agreeing to sell its terminal in Laredo, Texas, along with 700 dry van trailers and divest its ownership of Xpress Internacional, a company based in Mexico that U.S. Xpress has operated since 2007. The moves are part of a strategy to improve the profitability and enhance returns to shareholders, company officials said in a statement released Jan. 18. Although the U.S.-Mexico business generated $50 million in revenue in 2018, Fuller said that operating profits were “insignificant.” He also put the cost to replace trailers in the fleet over the next two years at $20 million. By ending cross-border operations, U.S. Xpress said it will be able reposition about 300 trailers to other routes in the United States. Customers still will be able to ship goods to and from Mexico through a new arrangement with the company’s former partners in that country, U.S. Xpress officials said. The changes will result in a pre-tax charge of $12.3 million in the fourth quarter of 2018 for U.S. Xpress, reflecting the write-down of the company’s total investment in Xpress Internacional, officials noted. In an unrelated development, U.S. Xpress said it would write off the value of its 10% equity ownership in Xpress Global Systems, a floor-covering distribution business that was sold to Aterian Investment Partners in December. U.S. Xpress Enterprises ranks No. 21 on the Transport Topics Top 100 list of largest for-hire carriers in North America and No. 8 on the list of top for-hire carriers in the truckload/dedicated sector.